07 | May | 2013 | Because two men are better than one! This series focuses on a group of men who live in the small mountain town of Coda in Colorado. Promises: Jared lives in a small town with only one other gay man living in it so Jared thinks he will spend his life alone. That is until Matt joins the Coda Police Department. They become friends but Jared wants more but doesn’t think things will work out as both men face problems including disapproving family and harassment from co-workers. A to Z: Zach’ life is not going anywhere, with relationship problems and a failing business. He employs Angelo, a young man who has been on his own since he was sixteen. Raised in foster care, he doesn’t trust anyone and is fearful of love and relationships. Angelo and Zach work together to save the business by relocating to Coda and of course, discover love on the way. The Letter Z: This book brings the two couples together. Zach and Angelo run their business and live in Coda and are good friends Matt and Jared. Zach and Angelo are settling into their relationship and their is some tension between the group of friends when decisions are not agreed with. On a trip to Vegas, they run into Zach’s ex-boyfriend which stirs up a lot of issues for Angelo who starts to question his relationship with Zach. The Promise: A short free story. 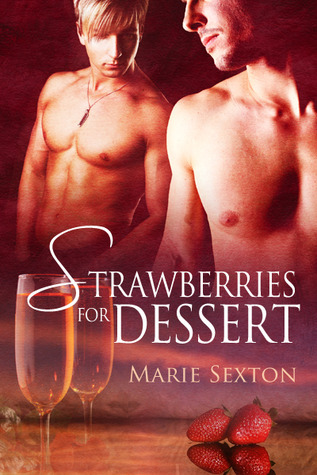 Strawberries for Dessert: This book is about the development of a relationship between Jonathan and Cole, two very different men. It starts as a very casual relationship, particularly on Cole’s side but Jon is determined to tackle Cole’s fear of getting close and build a life together. Putting Out Fires: A Valentine’s Day short story. Paris A to Z: Zach and Angelo travel to Paris, along with their friends Matt and Jared, to attend a special event. This story includes lots of jealousy as they need to deal with past boyfriend’s and work out what they want from their own futures. Promises: A great start to the series. I loved this story of two lonely men finding each other. The supporting characters were well drawn – Lizzy was fabulous – and Jared and Matt were both wonderful. A to Z: This book had a really different feel to the first book in the series, probably due to a combination of a factors including the story being told from alternating points of view, the different setting and the new characters. It is not until half way through the book that Jared, Matt and the town of Coda make an appearance. The start of the book was frustrating as I couldn’t stand Tom and just wanted to shake Zach for not seeing what was in front of his face! 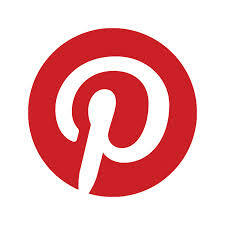 This story had humour, heartache and a happy ending! The Letter Z: This is an interesting book to comment on. I like the way the characters from the first 2 books come together and take a trip to Vegas but some of the actions of Angelo and Zach made me so angry (obviously the characters are very well written to elicit such an emotional response) that I almost didn’t want to continue with the story. It was almost a feeling of being let down by Angelo based on what he wanted to do and by Zach for him allowing it. Still it was nicely resolved in the end. Strawberries for Dessert: I started this book with mixed feelings as I didn’t particularly like Cole from the first books in the series, particularly in relation to his involvement with Angelo. However I really enjoyed this book. Once again it was a bit of surprise, being part of a series but a bit removed from it. The original characters and the Coda location take a backseat to Jonathan and Cole’s story. Paris A to Z: A great conclusion to the series! Each book gets 4 stars!